Will hold up to approximately 85 lbs. of meat. 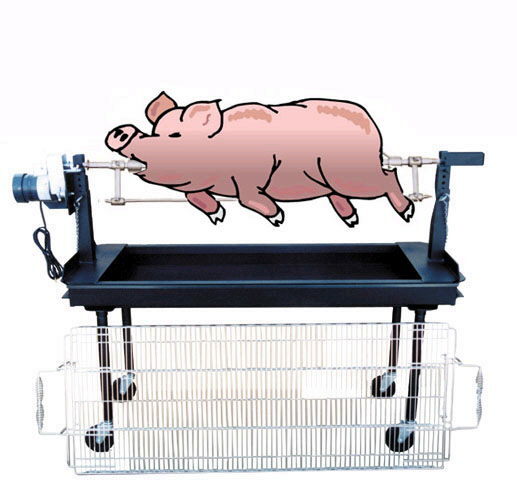 Make sure meat is secure on the rotisserie and that weight is evenly distributed for best results. Legs can be unscrewed to fit into your vehicle. Size will be 5' x 2' with legs off. * Please call us with any questions about our rotisserie charcoal in Flemington NJ, Somerville, Flagtown, Frenchtown and Western New Jersey.